We see Cesaro and Kevin Owens walking to the ring. Back to commercial. Back from the break and out comes Cesaro to a pop. Kevin Owens is out next for another SummerSlam rematch. The bell rings and Owens talks trash in the middle of the ring about beating Cesaro at SummerSlam. Cesaro unloads with uppercuts and covers for a 1 count. Cesaro with an uppercut in the corner. Owens fights out and hits right hands. Cesaro with another uppercut. Owens blocks a suplex as does Cesaro. Owens with more strikes. Owens runs into a big boot and Cesaro hits a suplex, holding Owens in the air. Owens hits Cesaro on the way down with gut shots. Cesaro stomps him and covers for 2. Cesaro with more offense and another 2 count. Fans boo as Owens rolls to the floor for a breather. Cesaro goes for a dive but stops when Owens moves. Cesaro follows him and hits a big running uppercut. Cesaro brings it back in the ring for a 2 count. Owens trips Cesaro on the apron and hits the senton. Owns with kicks now. Owens with strikes and a chop in the corner. Owens whips Cesaro hard into the corner and talks trash, mocking his Cesaro Section. Owens with a clothesline in the corner. Owens nails the cannonball in the corner and talks trash to the crowd. Owens with a 2 count. Owens keeps control and takes Cesaro down with a headlock. 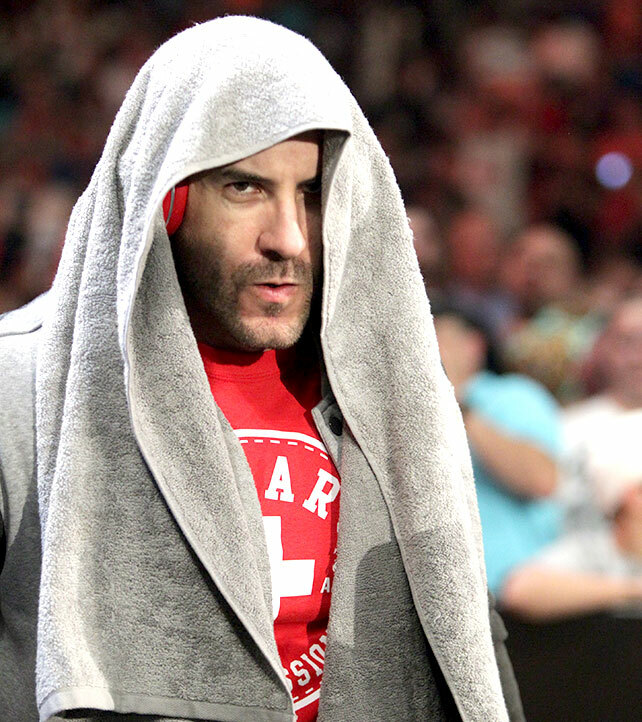 Cesaro fights up and out. Owens turns it back around and sends Cesaro into the ring post. Owens drops Cesaro again for another 2 count as we go to commercial. Back from the break and Cesaro has Owens up top. Owens fights back. Cesaro ends up nailing a dropkick and stunning Owens. Cesaro climbs back up and hits a super gutwrench suplex for a 2 count. Cesaro hits the running uppercuts in the corners. Owens goes for a kick but it’s caught. Cesaro tosses Owens for another 2 count. Owens blocks the Neutralizer. More back and forth. Cesaro with the Cesaro Swing attempt but it’s blocked. Owens hits a big superkick for a 2 count. Owens misses a cannonball. Owens with right hands and slaps. Cesaro fires back with slaps of his own. Cesaro catches a tornado DDT attempt and drops Owens into a Crossface. Owens manages to get his boot on the bottom rope and breaks the hold. Cesaro lands on the apron and Owens runs into a boot. Cesaro goes to suplex Owens out to the floor but it’s blocked. Owens hangs Cesaro up on the top rope and knocks him from the apron to the announce table. Cesaro hits his ribs on the table and a referee checks on him. Cesaro comes back in and drops Owens for the Cesaro Swing. That’s blocked and Owens ends up hitting the pop-up powerbomb for the win.